It was an early start on Tuesday, Day 4, for another excursion. This time, we’re headed to 3 different cities, and they’re all a couple of hours drive from one another. Saying it was a rough morning is an understatement. It has become a normal occurrence for us to be staying up late and talking to anybody at the Lobby Bar, or anywhere at the resort. Good thing it also took about 2 hours to get to the first stop so we were able to catch up on sleep. 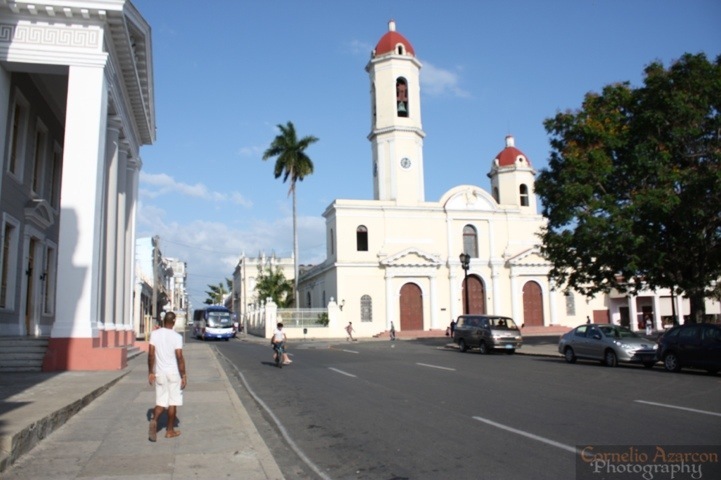 The first stop on the Tres Ciudades tour is Santa Clara in the province of Villa Clara. 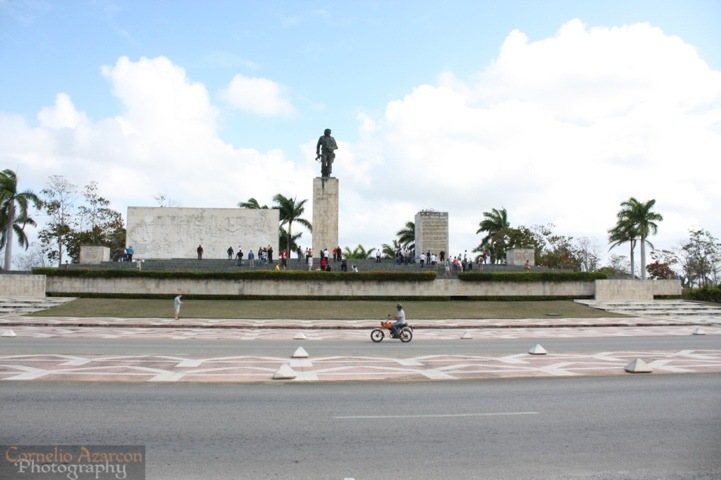 The primary point of interest in this city is the Che Guevara Monument where his remains are buried alongside other members of the revolutionary movement. 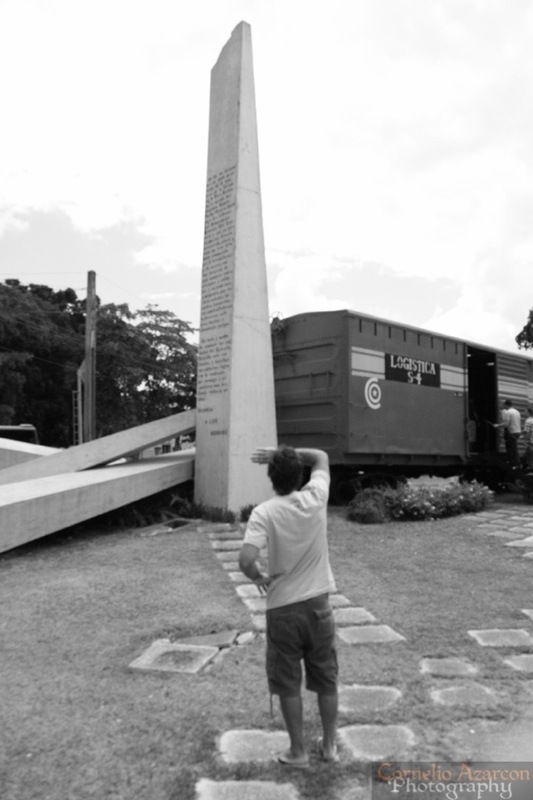 Second stop and another point of interest in Santa Clara is the Parque del Tren blindado (Armoured Train Park). After a short visit here, it was another 2 hours drive to the next city, so I tried to catch up on more sleep. 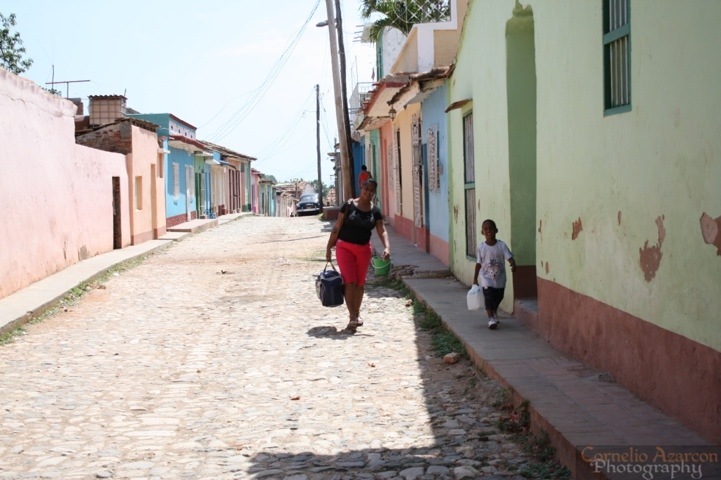 When we arrived in the city of Trinidad in the province of Sancti Spiritus, it was time for lunch, so our tour guide led us to a restaurant for a buffet meal. 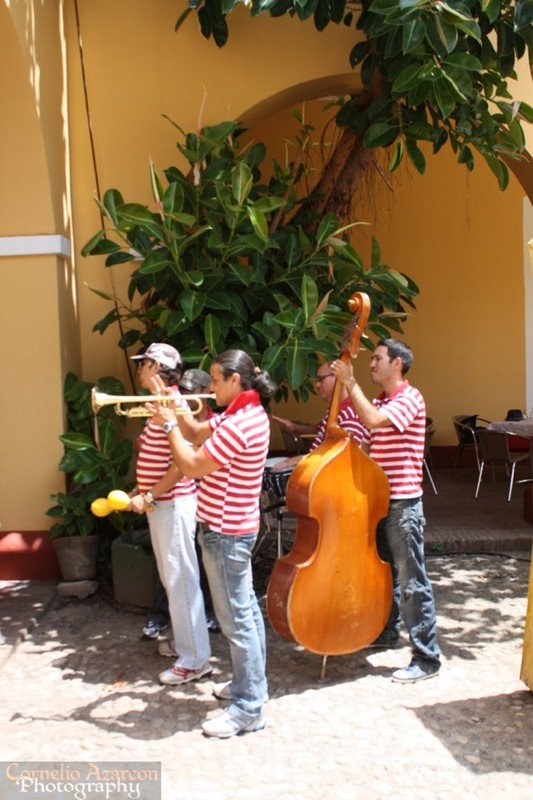 We were also serenaded by a band during our meal. 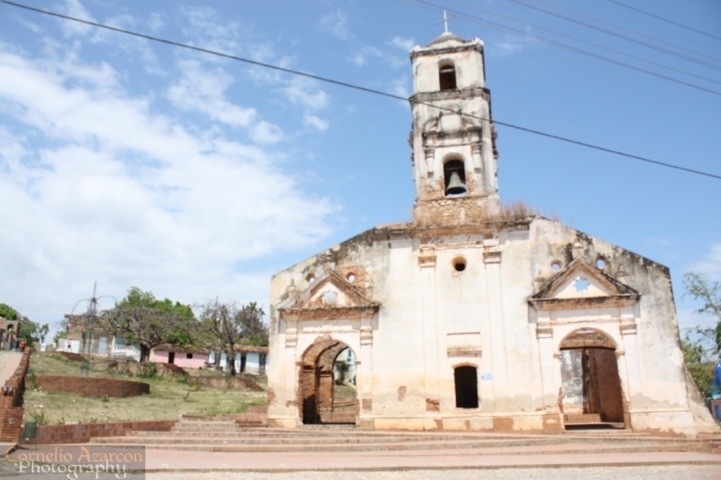 Then, it was time for our walking tour, where we saw sites such as what remains of this old church (picture shown above). One thing that fascinated me was since we were no longer at a resort town, we got to see locals out and about. 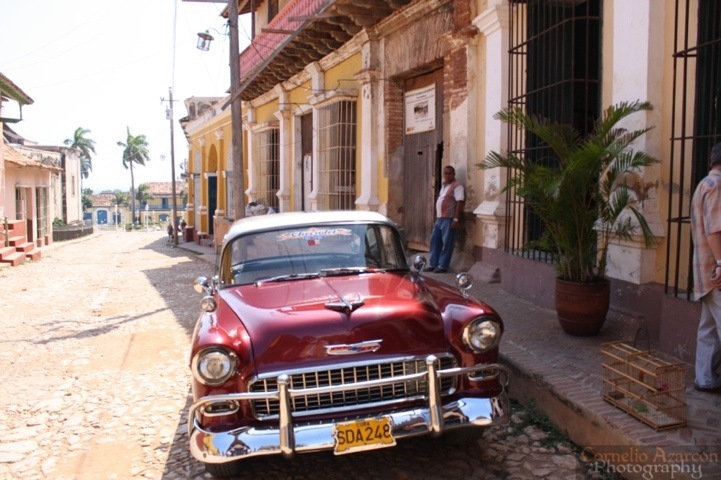 Vintage American cars are commonplace in Cuba. It’s like traveling back in time seeing cars that are operational, which in other countries, could only be seen in museums. 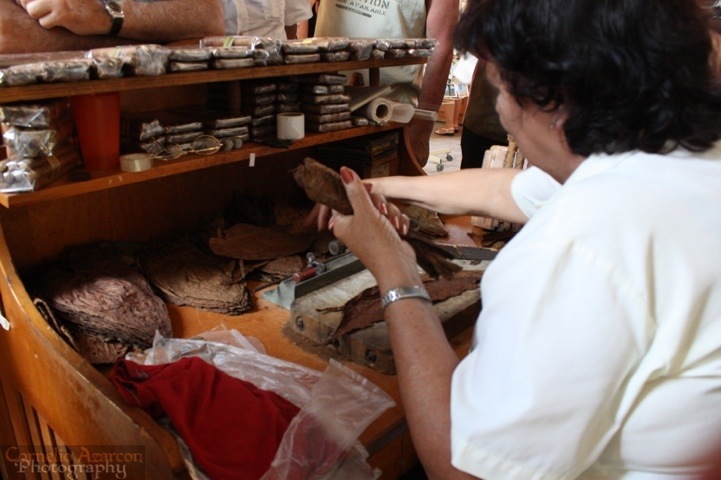 We also got to witness how Cuban Cigars are made. Before leaving Trinidad, we had the opportunity to stop by a bar to sample a local cocktail called Canchanchara, which is made of lemon, honey, and rum. It’s a very refreshing beverage, especially in Cuba’s warm climate. 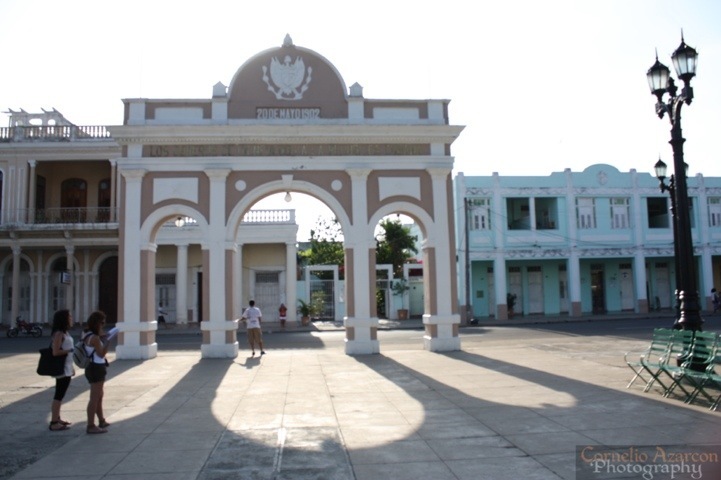 Last stop on the 3 Cities Tour is the city of Cienfuegos in the province of Cienfuegos. This city was originally settled by the French, and is a great example of urban planning during the 19th century Spanish Enlightenment. As such, it is a UNESCO World Heritage Site. The architecture in this city has a classical feel to it, especially with the whitewashed walls. 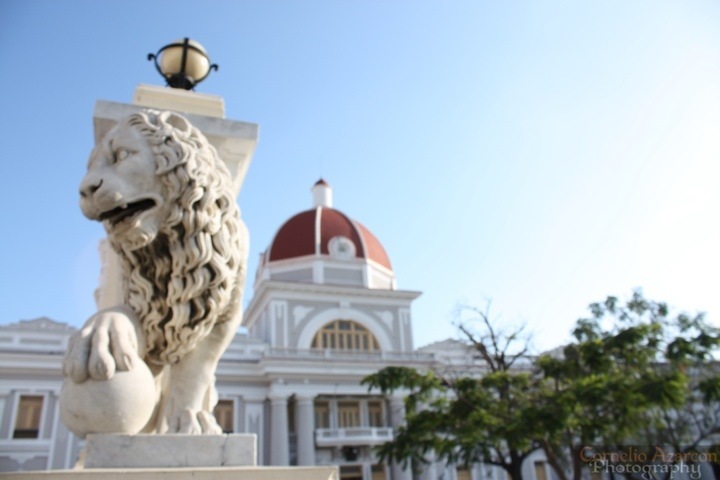 Pictured above is the City Hall in the backdrop with one of the Lion pillars that guard the entrance on one end of Jose Marti Park. At the other end is the Arco de Triunfo, the only arch of triumph in Cuba. 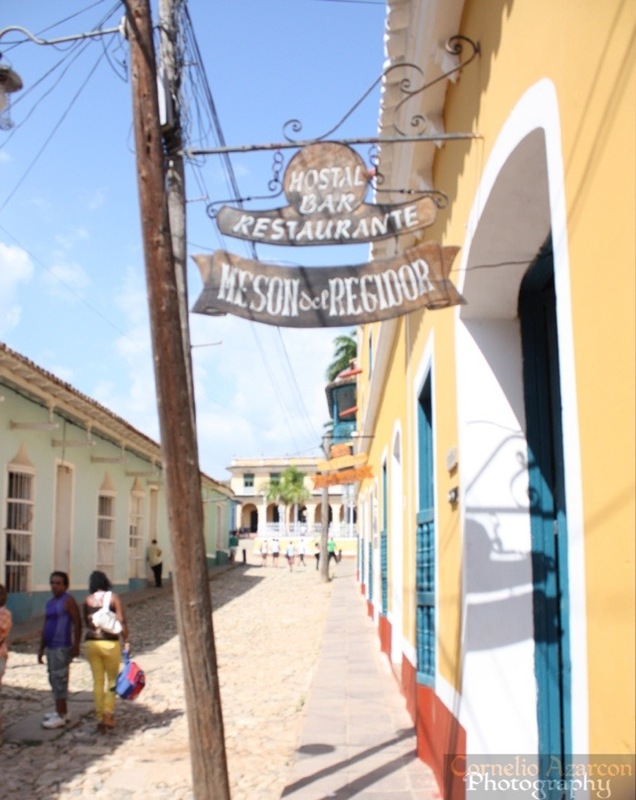 These 3 cities are a definite must see for visitors to Cuba as they not only add value to the trip, but also showcases Cuba’s rich history.